Flat-walled and symmetrical, the Edwardian conservatory boasts a delicate simplicity. A truly understated design that you will enjoy for many years to come. Are you looking for a conservatory that will maximise your floor space and natural lighting? 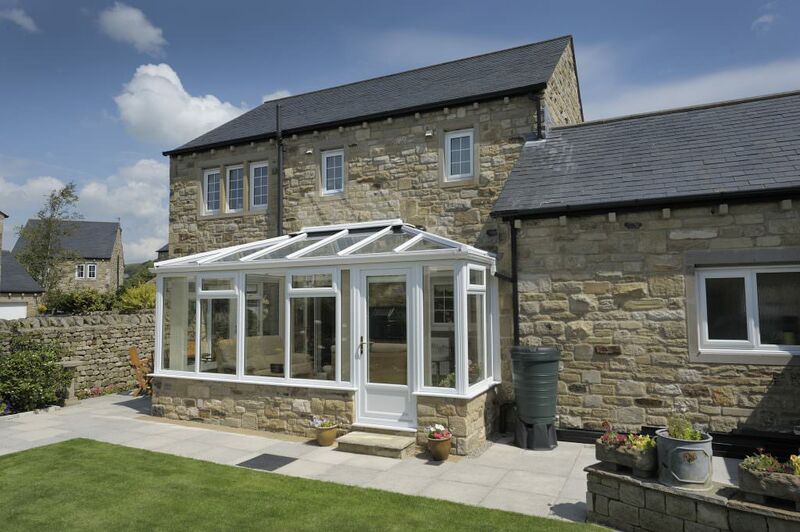 Do you enjoy the striking impact of a conservatory with clean, strong architectural lines? If the answer is yes, then the Edwardian conservatory could be the perfect choice for your home. Select Products offer a stunning range of high-performance Edwardian conservatories that will enhance properties of any time period and style. An Edwardian conservatory from us can be customised with our extensive range of colours and finishes to blend seamlessly into your home, giving off a simple yet classic impression. Featuring a flat-walled design, combined with symmetrical shapes and delicate finishing touches, the Edwardian conservatory is beautifully understated. This means it will never go out of style, and you will be certain to enjoy its timeless aesthetics for many years to come. Here at Select Products, we offer only the highest quality top-of-the-range products to our customers. All our conservatories are manufactured by Ultraframe, the world’s leading conservatory roof supplier. 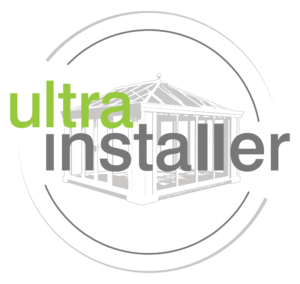 Buying an Edwardian conservatory from us will give you the winning combination of our highly experienced installers and Ultraframe’s first class conservatory roofing innovation. 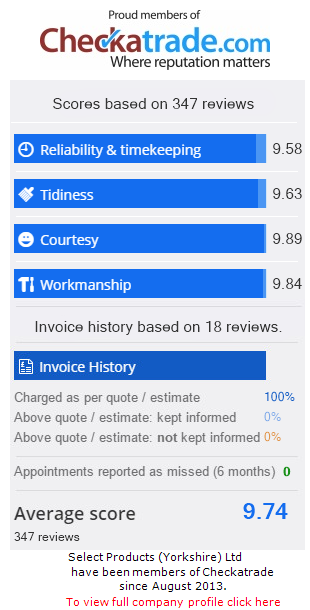 Don’t take our word for it, read the many reviews from our satisfied customers yourself on Checkatrade. Would some extra floor space be useful for your busy family? The Ultraframe Edwardian conservatory’s design is ideal for the layout of furniture or plants, with its rectangular shape and full square corners allowing you to make the most of the area you have to work with. Adding another room to your home has never been so quick and easy. The Edwardian conservatory’s steeply elevated roof gives the illusion of increased space and provides a bright, airy atmosphere throughout the internal area. This makes the Edwardian conservatory an ideal choice for a variety of uses such as dining rooms, living rooms or even children’s playrooms. The options to enhance your home are limitless with Select Products. Enjoy a premium outdoor experience with the traditional design of the Edwardian conservatory. Its pitched glass roof allows you to enjoy your garden view while still experiencing the comfort and warmth of your home. This makes them perfect for property owners who want to appreciate their outdoor spaces all year round, despite the unpredictable British weather. The Edwardian style is an ideal way to complement homes with low eaves or windows sills. Its sloping roof provides you with a wonderful vaulted effect, enabling maximum light to flood into your conservatory. In fact, this conservatory style was originally designed to house plants during the Edwardian times, so maximising sunlight has always been a structural necessity. We know our customers want to be able to enjoy their home improvements without the hassle. That is why all of our Edwardian conservatories are specifically designed to be low maintenance. Keeping your Edwardian conservatory looking brand new couldn’t be simpler, and its clean-cut lines make it incredibly easy to look after. Just the occasional clean is needed and it will look as dazzling as new. Not only are our conservatories headache-free, once you have your unique design installed you will never have to worry about repeating the process again. All of our Edwardian conservatories have impressively lengthy lifespans that allow them to evolve with your family. 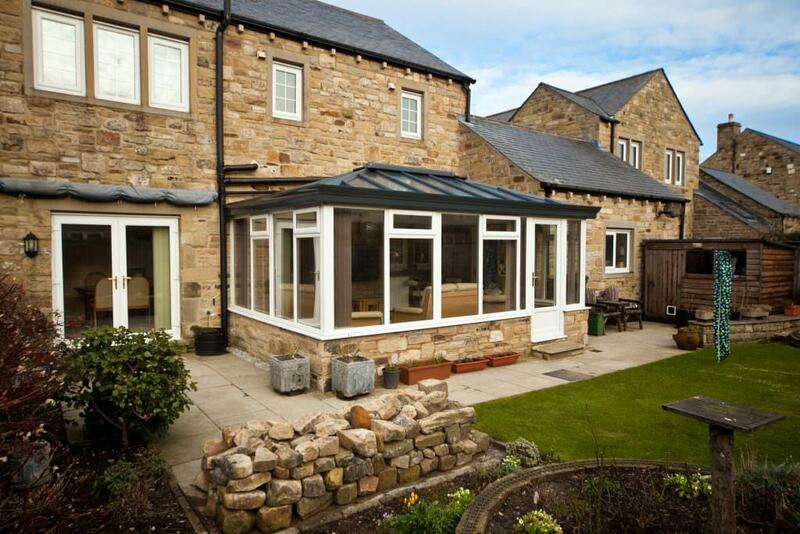 As a guarantee of this to you, all our conservatories are assured with a 10-year insurance plan backed by Home Pro. If it is made of low-quality materials or incorrectly installed, an Edwardian conservatory is likely to act as a heat sink, draining warmth from your home. To prevent this, we have developed a range of thermally-efficient conservatory options that act to sufficiently insulate your property and increase your extension’s thermal retention. Purchasing your Edwardian conservatory with us means you can benefit from the BBA Approved installation expertise of our resident fitters, so unexpected draughts will never be a problem for you. This increase in insulation will also ensure that your conservatory stays warm for longer, and you could even enjoy a decrease in your heating bills during the colder months. People considering adding a conservatory to their home often worry that it could act as a ‘weak spot’ in security and as an easy entrance way for any would-be intruders. You can rest assured that this will never be the case when you buy a contemporary Edwardian conservatory from us here at Select Products. All our conservatories are built with high-security multipoint locking systems fitted as standard to provide the ultimate protection to your property. The glass used throughout our conservatory range is also designed to be extremely durable and hardwearing to resist prolonged attack and is installed with internal beading to prevent the glass panes from being removed from the outside. So, Edwardian conservatories sound great, but will they fit in with your home’s existing character? Unsurprisingly, the Edwardian conservatory is guaranteed to be an unbeatable addition to properties of a similar era. This, however, doesn’t mean that houses of different periods can’t enjoy the remarkable charm and functionality of this ever-popular style. All our conservatories are available in a vast range styles, colours and finishes, giving you limitless options to personalise your extension to your taste. The Edwardian conservatory’s simple aesthetics allow you to add your own unique touches so that you can find the ideal combination to complement your home and individual style preferences. Get an instant online quote for any size, shape and colour of Edwardian conservatory with our easy to use conservatory quote calculator. Simply choose your favourite style of Edwardian conservatory, enter your sizes and get instant online price in seconds. It is that easy! If you would like to know more about the conservatories and products we offer, get in touch with our friendly team via our online contact form. Alternatively, give us a call on 0113 257 8933 and speak with one of our helpful conservatory installation experts for advice.